Manchester United suffered a 4-0 drubbing at the hands of Chelsea at Stamford Bridge with the game best being remembered for Eric Bailly's long-term injury, a heated argument with Antonio Conte after the final whistle and the utter humiliation that Mourinho suffered during his return to the stadium which made him 'the Special One'. It is now being reported by the Mirror that Mourinho was left fuming after learning that some of his players arranged for a hairdresser to visit their London hotel before they played Chelsea. Jose Mourinho criticised his team's defence after the defeat against Conte’s men and was later told about his players' actions leading up to the game in London. 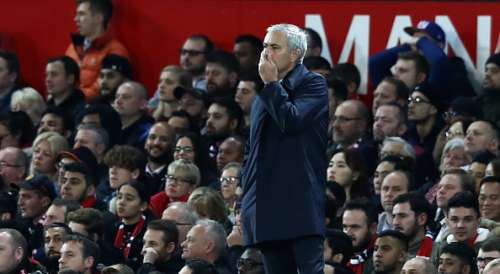 When the Portuguese learned about it, he let rip again as Mourinho reminded the players of their focus ahead of immediate games. The players in question are rumoured to be the Argentine duo of Marcos Rojo and Sergio Romero and two other unnamed players who paid for their hair stylist to travel from Manchester to their team hotel in London one day prior to the Chelsea game. Romero was an unused substitute whereas Rojo played in the second half after a serious injury to first choice centre back, Eric Bailly. United conceded two more after the Argentine's introduction. The Portuguese has also been criticised after publicly hammering the duo of Luke Shaw and Chris Smalling who missed United's last game with injuries. Mourinho, however, felt that the players were ‘not being brave.’ Mourinho will be embarrassed after learning the fact that Smalling will be out until Christmas after suffering a broken toe. Despite not being in the reckoning currently as title contenders and also the usual off-field antics by Jose Mourinho, the manager still has full backing of both Ed Woodward, United’s executive vice-chairman and, more crucially, the US-based Glazer family, who own the club. It is said that the owners fully back their £12 million a year manager as they are of the idea that Mourinho still needs two more transfer windows to make this United team champions again. United are expected to be active in the January transfer window and are expected to offload the likes of Memphis Depay and Bastian Schweinsteiger.